Lupo wines are produced in some of Italy’s most distinctive and unique regions and are made from some of Italy’s most interesting grape varieties. 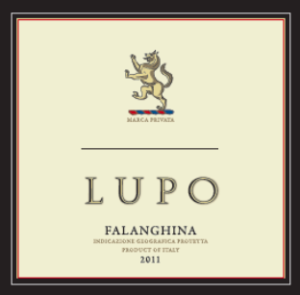 The Lupo winemaker, Alessandro, has sourced grapes like Falanghina, Fiano and Greco from the volcanic hillside vineyards of Campania to produce wines that are aromatic, zesty and dry and which have the wonderfully distinctive mineral character. For the red wines Alessandro moved firstly to the rolling hills of Tuscany to source some of the best Sangiovese grapes grown throughout the region to produce one of Italy’s most famous red wines. He then travelled to Puglia where, on old vines, he could find the fruity Negroamaro grapes.